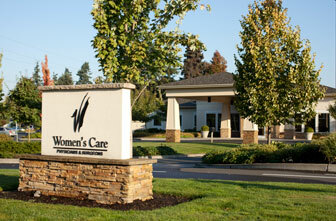 In 1988, Women’s Medical Services, Oakway OB/GYN, and Kaplan & Herz joined together under one name to create Women’s Care, Lane County’s oldest independent physician group specializing in women’s health. After years of collegial relationships between the members of these separate offices, Doctors Robert Jacobson, John York, and Paul Kaplan knew their consolidation would create a better overall facility for women with the best possible professional care and counseling. As a business, the three practices believed they could provide superior OBGYN services in obstetrics, gynecology, and fertility during the crucial time before, during, and after a woman’s childbearing years. As a group, they decided the practice should be large enough to offer a comprehensive variety of obstetric and gynecological services, yet small enough to ensure that each patient would receive the complete and undivided attention she deserves. In doing so, they were able to maintain their goals for reliable care while at the same time making the practice more business-efficient than the three separate groups. This allowed for unparalleled quality of services in combination with the opportunities and efficiencies of a larger group. A year after opening, Dr. Woomer started a branch Women’s Care clinic on East 19th Avenue to focus more on obstetric care and midwifery. As the practice expanded, planning began in 1990 to build a new clinic to combine the Oakway and Kaplan & Herz Centers. This project was completed in 1991, and the physicians moved their offices to Country Club Road in a nicer facility for patients. In this new location, the doctors had their own lab to run tests on-site, as well as the availability of different imaging services that contributed to the overall convenience of Women’s Care services. As the practice grew, the clinic needed to expand its services to better serve a wider spectrum of obstetric and gynecological needs in the Eugene/Springfield area. In 1998, two new specialty groups of perinatology (medical and surgical management of high-risk pregnancies) and gynecologic oncology were added. Prior to Women’s Care, Lane County was unable to provide care to these women, as the closest other practice that offered perinatology was almost 60 miles away in Salem. The perinatology (MFM) unit has stayed with the group since its addition and has become a crucial part of the area’s obstetric services. Women’s Care saw this need within care for high-risk patients and general obstetrics for this community and has upgraded the care dramatically. Since this change, an increasing demand for a larger range of programs and facilities has arisen in the Lane County area. In response, Women’s Care purchased additional land in 2006 in the RiverBend area to build a new clinic for the 13th Street physicians that were even more up-to-date in its facilities and technology. These doctors moved to this property in 2007 and have continued to thrive in this location. This practice is much closer to the RiverBend Medical Center, making it convenient for people coming to and from the hospital. In 2011, three top obstetricians from PeaceHealth Medical Group decided to join Women’s Care after a continually good relationship between the two clinics. Deciding that these new additions could all work together philosophically, these obstetricians joined the Women’s Care group and become a part of our family. In combination with Women’s Care, this mutual solution resulted in better coordination and patient care within the PeaceHealth obstetrics population. The medical equipment used and the quality of care provided by Women’s Care remains at the highest standard. New digital mammogram machines are the best available, and in-office procedures such as ultrasound and bone density scanning are state-of-the-art. The success of procedures and approval of patients in this area continues to reflect the accountability and reliability of this independent group and continues to be a source of pride for Women’s Care.